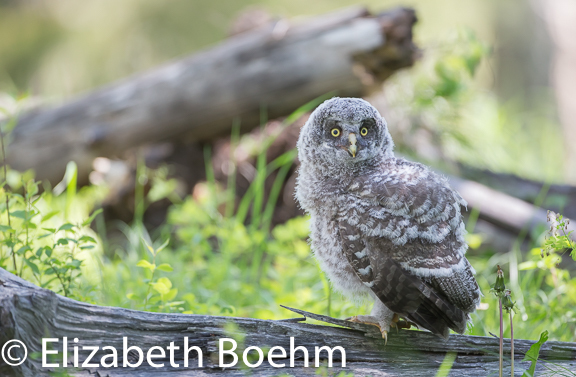 I had been noticing a number of Northern Pygmy Owl sightings in Wyoming via the social media loop. Thus, I decided to head out and look for my own. I went to an area in which I had suspected this fierce, small owl may live. I had heard calls in the springtime for several years but had no luck in finding this raptor. Trudging through the deep snow, I was not seeing or hearing a single bird. I eventually turned around and headed back to the car. Sure enough, silhouetted against the skyline, sat my owl in a dead evergreen. I watched this little owl from a distance as it hunted the edge of an open meadow. I could not believe the speed in which it could fly as it changed it’s lookout. It sat at the top of an evergreen for quite some time and then disappeared deep into the forest out of sight. I was thrilled this small hunter had shown itself to me! 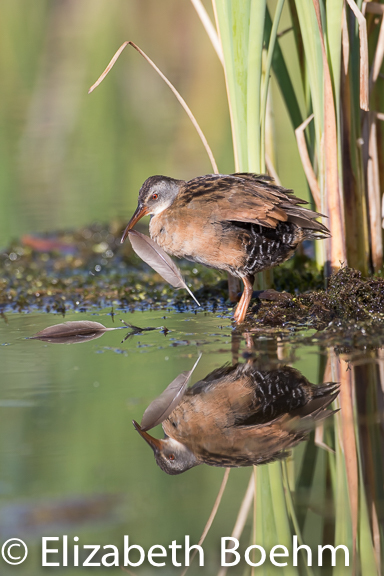 I have been having a ball following and photographing a family of Virginia Rails this summer. 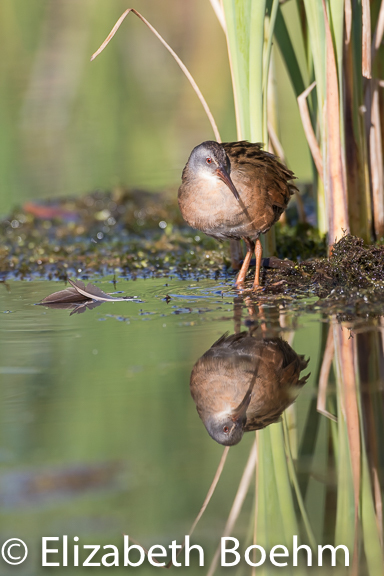 Virginia Rails are small, marsh birds that are not often seen as they are secretive in nature. 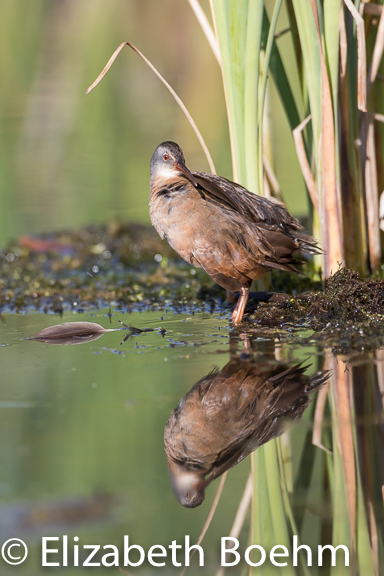 These birds live in wetlands, moving around the base of cattails and sedges, not a place too many people enjoy in the buggy, summer months. I was photographing this particular rail as it preened. 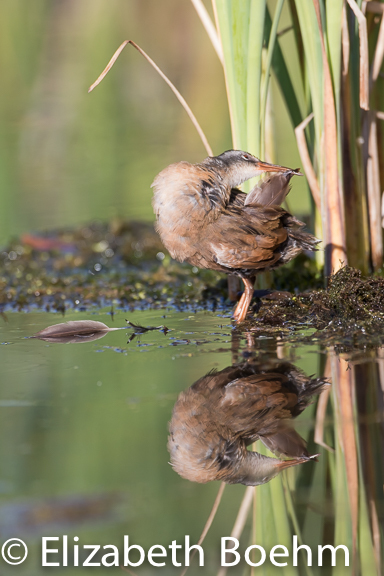 I watched it pull a primary feather from it’s wing and drop it on the water. I was ready as it started to work on the second wing, sure enough, it grabbed onto a primary, plucked it from it’s wing, and dropped it neatly onto the other feather. Here is the series of photos. 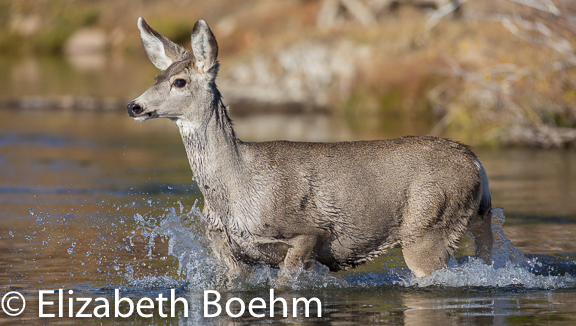 It was a great spring and early summer for photo subjects this year. 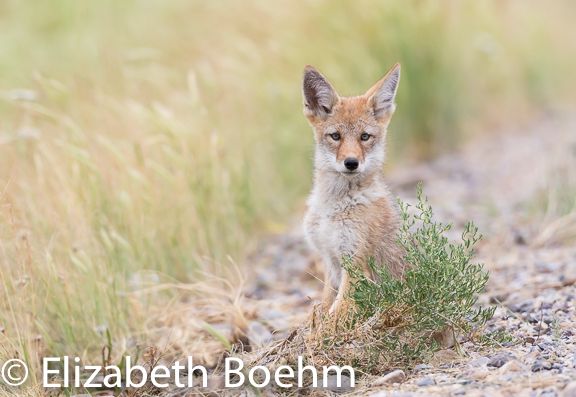 I photographed two fox dens and then happened upon three coyote pups that were holed up in a road culvert awaiting the return of their parents. Having recently adopted a pup from the local rescue, it was fun to see the similarities in the canines. Play, sleep, and eat, not necessarily in that order, are the focal points of all of their lives. 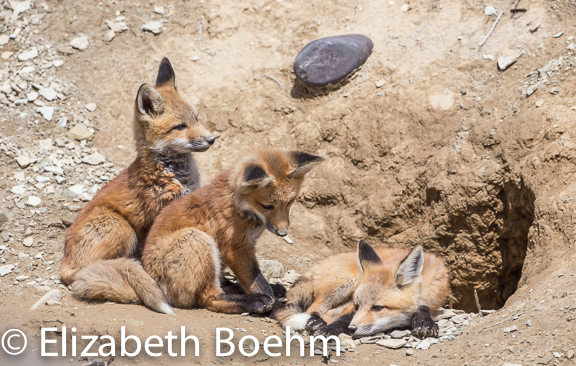 I spent more time with the fox kits being able to return on several occasions. They were shy at first but using a blind they came out of their dens to play and sleep. Always wary to the slightest noise it was imperative to be still and quiet. A slight movement in the blind would send them scurrying down the hole for an indefinite period of time. Patience was the key and a number of photographers would not have worked at either of these sites. I had a great time watching the young as they would tussle with each other growling and biting. Stalking was another favorite as they moved between holes in the den. One would “hide” and then wait for a sibling to pass, pouncing at the last minute. 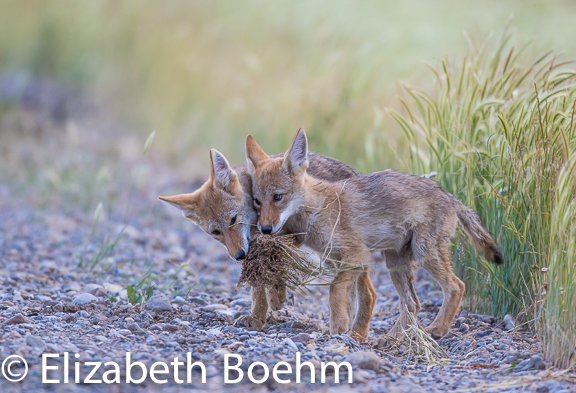 Both dens had several dead rodents and old bones laying around for the kits to chew on and eat but as is typical of young canines, they became play toys. I watched one morning as a Black-billed Magpie warily approached the entrance to the den. The den had a cottontail rabbit and several mice carcasses at the entrance. The magpie happened upon a windfall and started flying off with the mice. I watched as it flew a short distance from the den, mouse in bill; it then broke the rodent up into smaller pieces, stashed part of it, and headed back to it’s nest sight to feed it’s young. 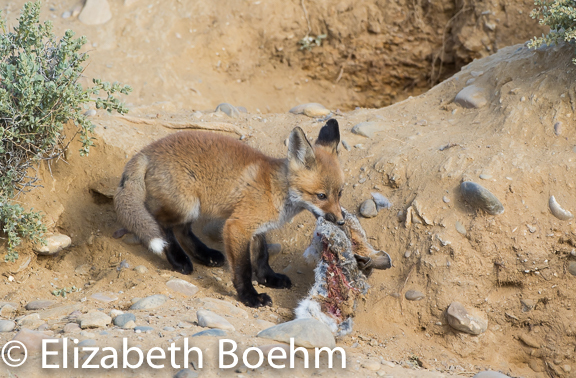 One of the kits caught on to this as the magpie dragged the rabbit carcass downhill away from the den opening. It had been filling it’s bill with meat and carrying it away. 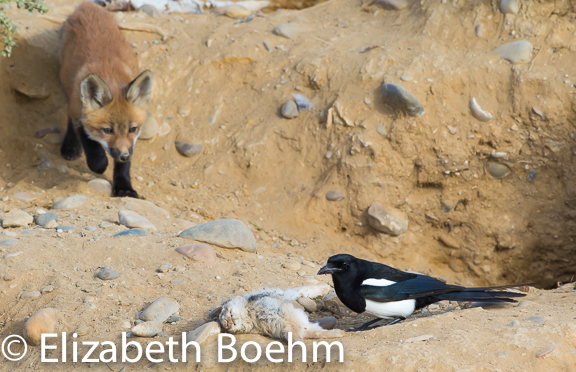 The young fox stalked the magpie, chasing it from it’s larder. The kit then grabbed the carcass and carried it back to the den opening having to pull in reverse to get it up the hill. A great show of animal behavior. 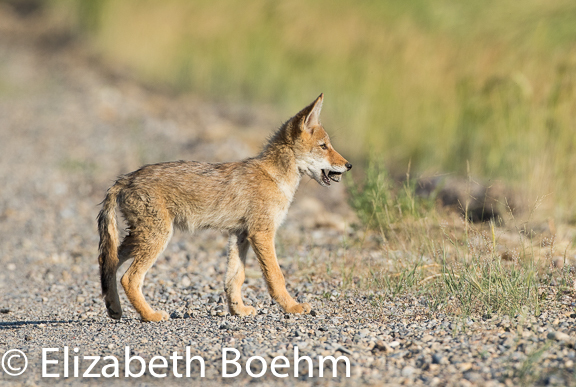 I found the coyote pups in Southwestern Montana while on a birding expedition. 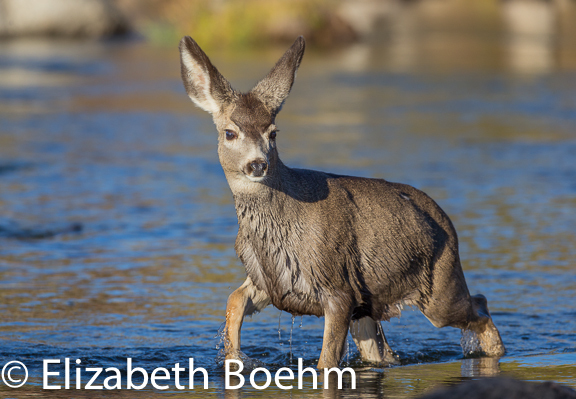 I was driving down a gravel road in the evening and noticed movement in the road several hundred yards ahead of me. 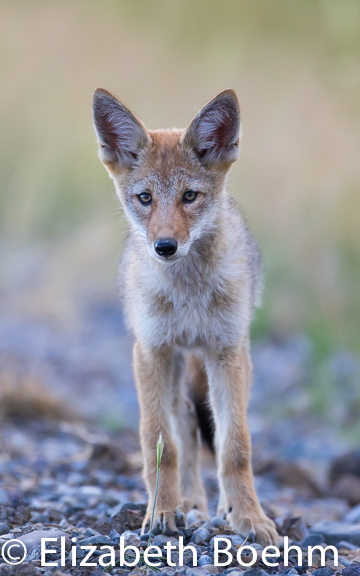 I stopped and glassed: a coyote pup. Slowly I approached in the car as the pup stayed put. I realized it was hanging out in a road culvert with several siblings and I stayed in my vehicle at a coyote-tolerable distance. It was a great find! I had not been able to find a coyote den with willing subjects. There were three young pups and I do not believe this was the actual den. They were old enough to hang out by themselves and stay put while the adults hunted. In typical puppy fashion; playing, sleeping, and eating were the order of the day. Anything was a toy including a rock and the bunches of grass along the roadside; these would be keep-away or tug-of-war toys. If one pup had an item in it’s mouth the others would try to take it away. They would tussle and run from each other. Big fun was running through the culvert to the other side of the road. Typically one of the three stayed on the road and jumped the pups coming out the other end of the culvert playing “King of the Road”. I spent a morning and two evenings with these three youngsters and then suddenly during the last evening, they dove into the grasses, quietly called out by their parents. 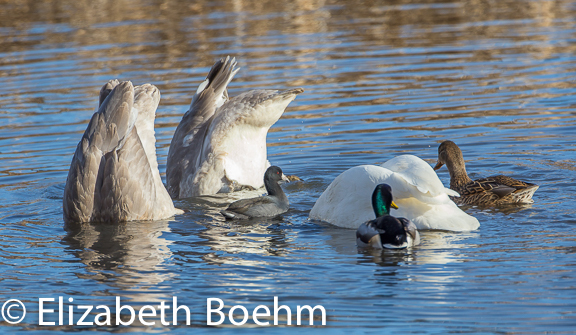 What fun to have watched these three play with abandon in front of my camera. It has been a busy but great spring, lots of rain and lots of rodents. 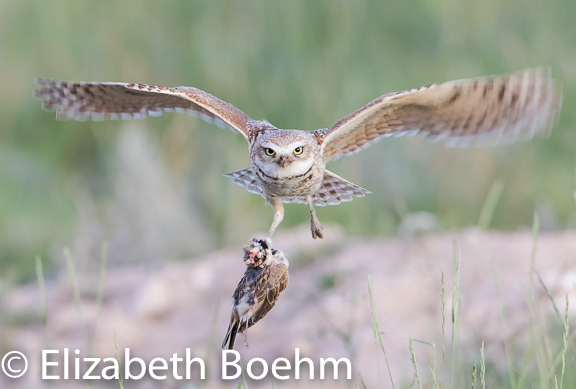 The excessive amount of rodents has given plenty of food to a variety of predators including our local owls. 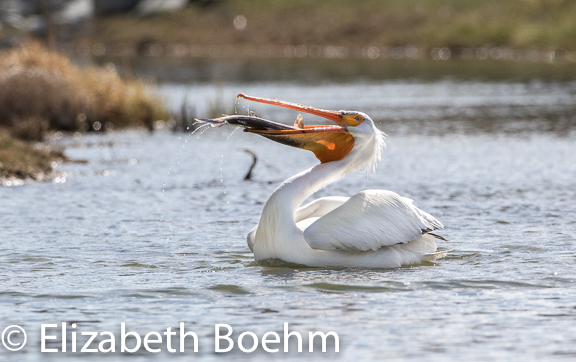 A number of the nests I have been observing had larger clutches this year having been well fed on voles, ground squirrels, and cottontail rabbits. 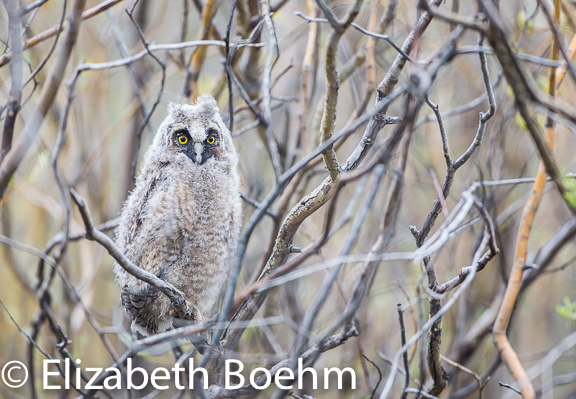 Great Horned Owls were the first to fledge with late April being the beginning of the exodus from the nest. 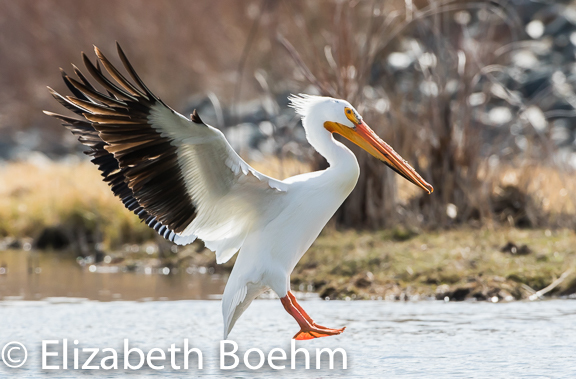 This bird can be found nesting in a variety of habitats including cottonwood trees, cliffs, red-tailed hawk nests, and evergreen forests. A number of nests I had been observing this spring, fledged a group of four. It seemed I could not go anywhere without running into a family of these beautiful owls. Next to fledge was a family of Long-eared Owls which started setting on eggs by late March of this year. The adults fledged six little ones into the willows surrounding the nest sight making for difficult visuals for photographs, branches being everywhere. Still, with six young, at least one would be more visible than the others allowing for a somewhat clear photo. These small versions of the Great Horned Owl would watch cautiously as I moved around, not turning just their heads but there whole bodies in unison to my movements. Very fun to watch! 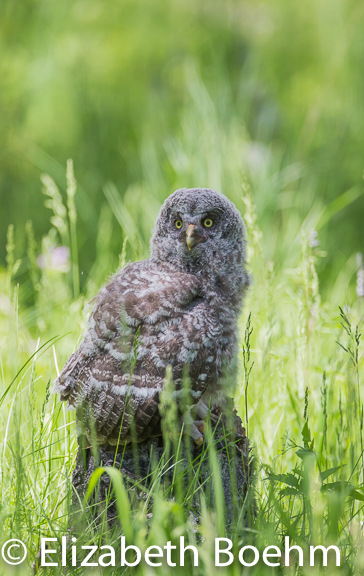 I also had the honor to witness and photograph a family of Great Gray Owls this spring. While walking to the nest sight I felt as though I needed to be very quiet and walk gently through the trees so as not to disturb this precious nursery. This large bird can be quite tame and come in very close, seemingly fearless of human presence. On several occasions the female flew silently just over my head to land on a low perch just above me to hunt. It was truly an awesome moment in my life. This behavior of being fearless was almost it’s demise in the early part of the previous century. A nest of three, they fledged in early June. 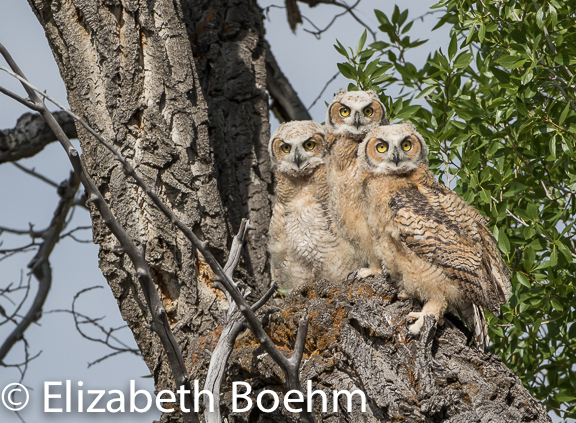 One owlet was in the top of a “leaner” aspen, another on the ground, and the third still lingering in the nest when I left this family. 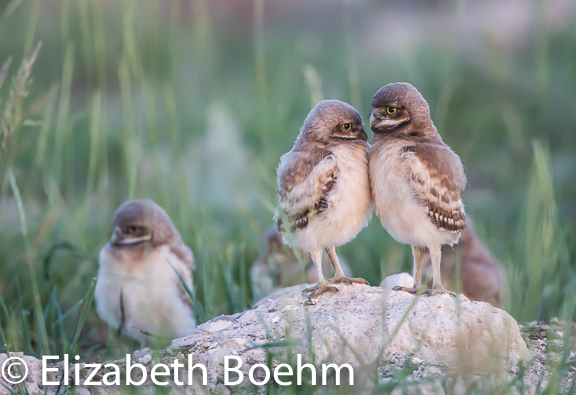 The last of my owls to fledge is the Burrowing Owl with nine young still in the natal burrow. These young are quite comical and have funny antics as they scurry around the top of the burrow awaiting dinner to be presented to them via mom or dad. They are eating a number of voles with an occasional bird brought in by the adults. 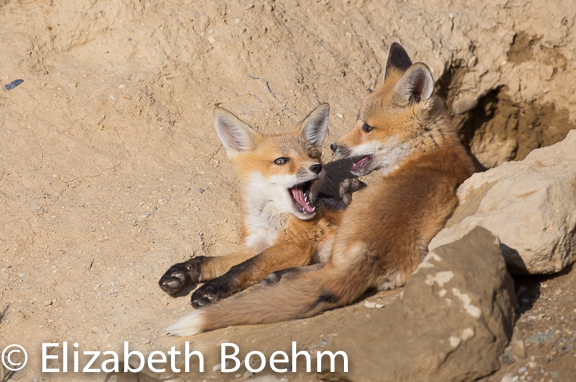 Typically the male has been the hunter while the female stays close to the burrow. A transfer of the vole is then made from the male to the female with the female delivering and feeding the young. 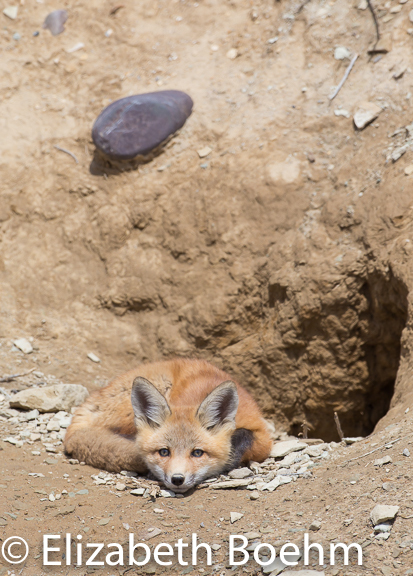 A sudden call of intruder can be made at any time by either adult which will send the little ones scurrying down the hole into the safety zone. 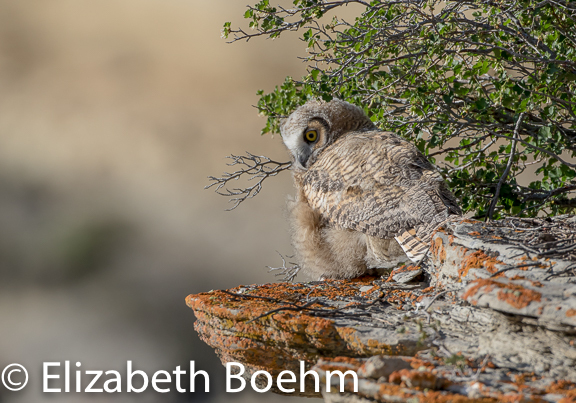 These birds are little gems of our sagebrush areas. There are numerous owls, adult and juvenile, in this place I call home. 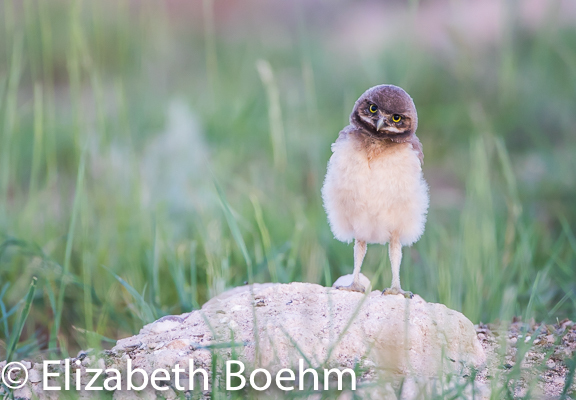 Summer starts tomorrow, I hope to continue to photograph a few of these owls as they mature into great hunters of this over-abundance of rodents! 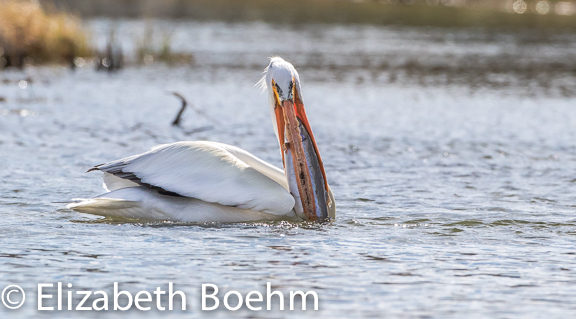 In honor of International Migratory Bird Day, this year on May 9, I decided to spend the entire day birding. I was not going for a big day, just spending the day outside watching birds. The weather, cool and very overcast, was not the best for birding. It had been raining several days prior to the day thus the “gravel” (dirt) roads were already somewhat messy. I decided to stick to driving on pavement and hiking several known areas. 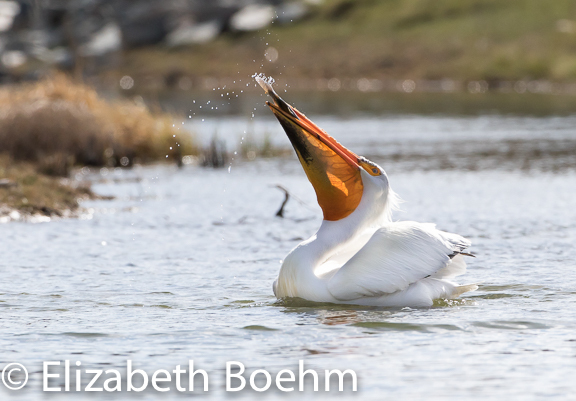 By afternoon the sky opened up and snow started to fall, numerous birds had stalled out from their spring migration. 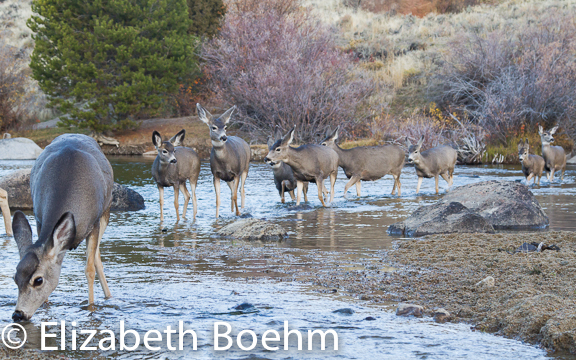 The water birds were just fine but when I entered the sage brush habitat all seemed to be quiet. 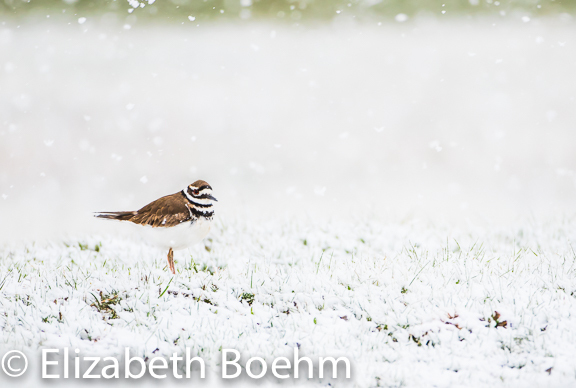 I captured this lone Killdeer in a pasture, standing in the snow, I am sure there was another close by sitting on eggs. All in all it was a great day to be out: 77 species and 1761 birds recorded. 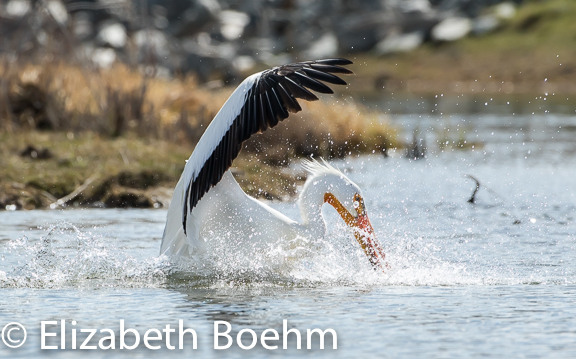 I was photographing an Eared Grebe on the Green River and watched this American White Pelican fly over and circle back. I set my camera on the bird as it came in for a landing on the river. Little did I know this bird would hit the water, go under, and come up with a fish in its bill, a quite large Rainbow Trout. Here is the series of images. I recently spent a night camping on Antelope Island in the Great Salt Lake of Utah. The weather had been hovering around 70 degrees which was warm by March standards. It was very pleasant. 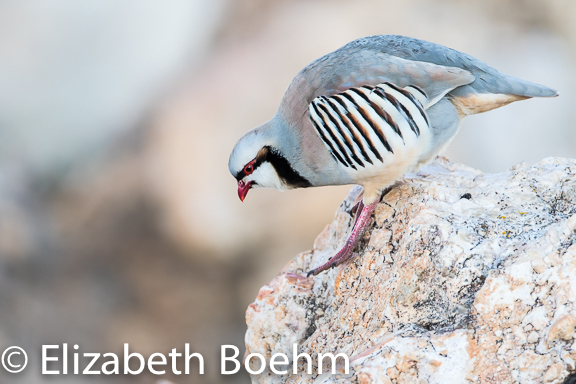 I had high hopes of catching a few Chukars courting in the rocks. They did not fail me and were quite the posers! This is a colorful non-native bird like the Ring-necked Pheasant. 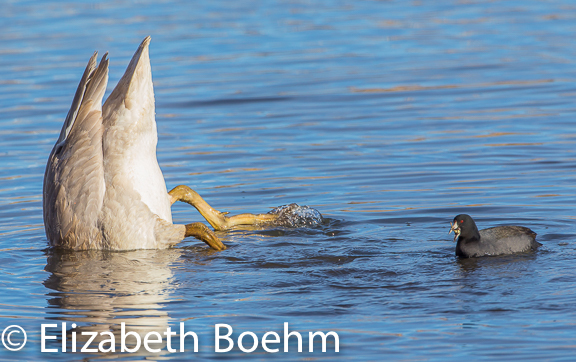 As with most members of the Phasianidae Family (Upland Game Birds) they put on quite the display for courting. Standing on top of a high perch, typically a rock in this area, they would cackle and then perform a crowing call for the females. One could tell if a female was close as the crowing and cackling would become much more intense especially if there were two males vying for her attention. The male would come down off of the rock and follow the female, moving very quickly, and then finding another display perch. 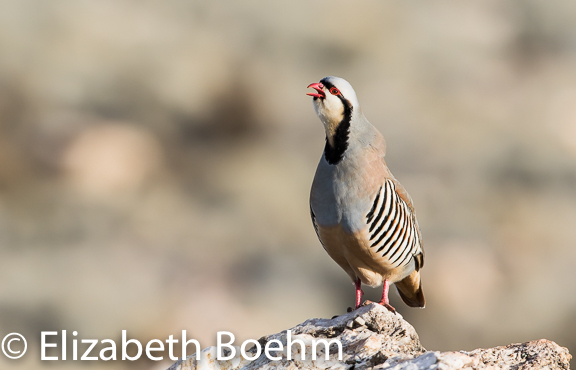 It was hard to predict where they would move to as Chukars can move quickly on the ground. It is an awesome photo event! 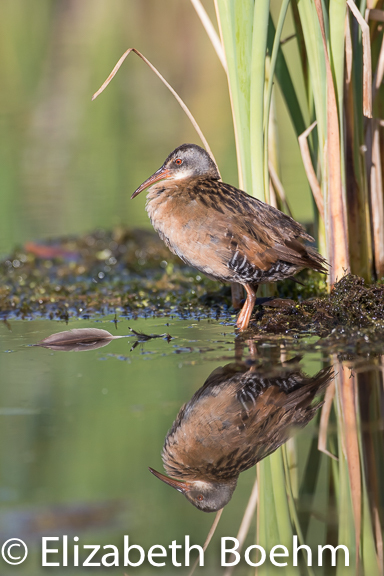 Along with the Chukars there were a number of birds visible on the island with numerous spring migrants having returned and in the process of claiming their territories. 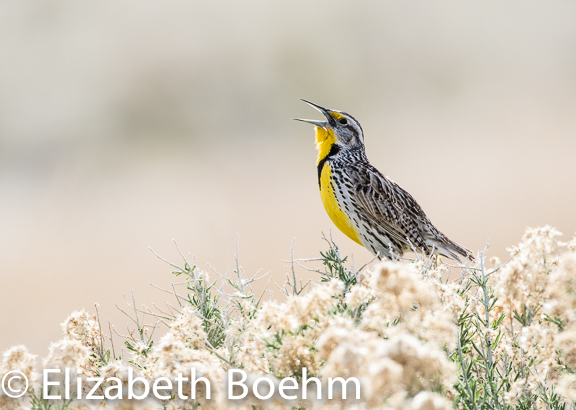 One of which was the Western Meadowlark, very prevalent along the roadways. This bird has always been elusive to my camera; flying away with just the thought of picking up the camera for a photo. 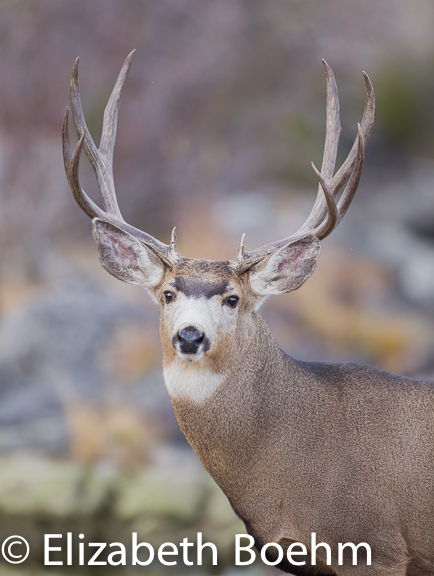 I was fortunate to grab a few shots using my vehicle as a blind. The birds were singing on a variety of perches consisting of bushes, rocks, and signposts. Obviously used to a fair amount of traffic they were not nearly as wary of my camera as I had expected. It was a delight to hear them belt out their songs so close. 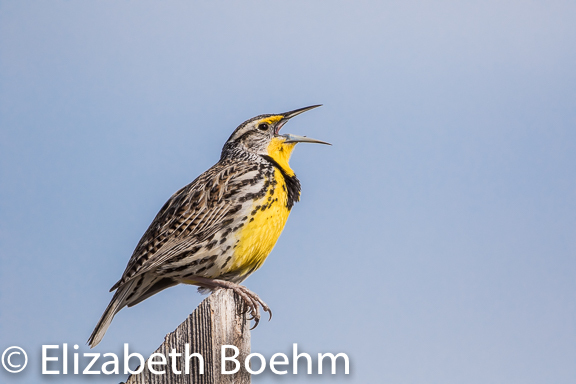 I typically think of the Meadowlark as being a ventriloquist, making this bird sometimes difficult to find. At Antelope Island, with the shorter distances in which they tolerated me, it was very obvious as to the perch the song was coming from. A definite sign of the arrival of Spring! 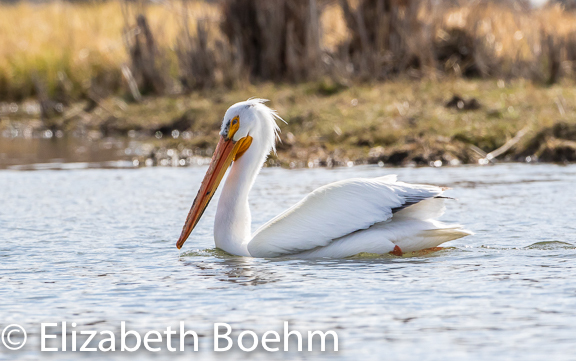 I like to check out the Swans on Flat Creek when I visit Jackson, Wyoming. It was a day that was too warm for December and the light was a bit contrasty. The creek was wide open with no ice and the swans were scattered with the exception of a group of three feeding close to the viewing platform on the northern edge of town. I sat and ate my lunch and watched the small group of swans feeding. 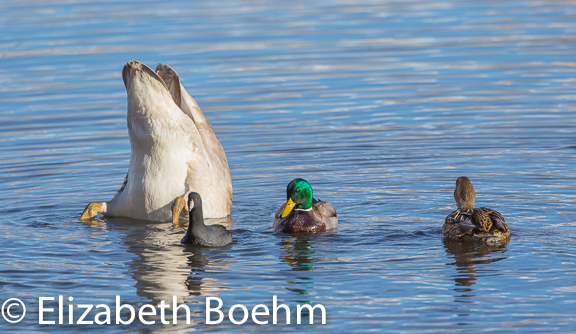 I noticed the coots and mallards coming in really close to the up-ended birds. I then realized they were scavenging odds and ends that the swans were stirring up from the bottom. The coots were in and out between the family of three swans with one swan giving it an annoyed bite as it approached too close. The mallards also occasionally went at the coots being protective of their feeding turf. The coots were diligent and every so often they found a morsel to feed on. 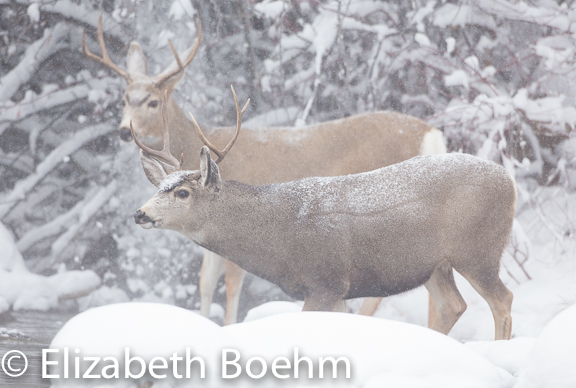 Photographing this behavior was not easy as I had to be quick with the focusing and exposure compensation. 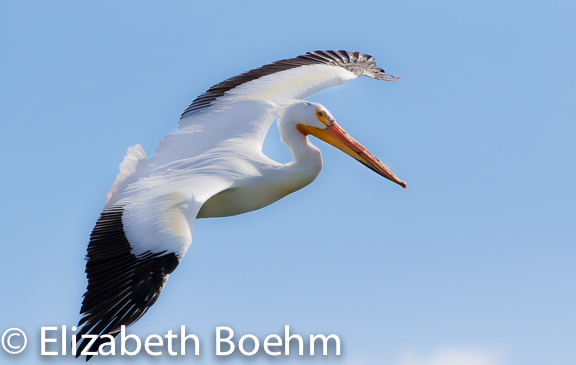 The birds were constantly moving making sharpness and depth of field a non-stop problem. My slow photo day turned into a fun December afternoon watching the birds and practicing my camera skills.